OLD PARKED CARS. 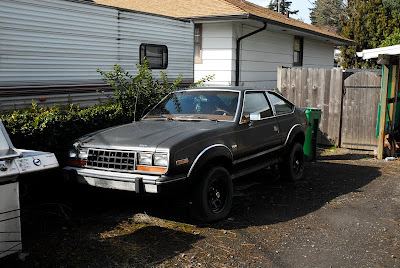 : 1981 AMC Eagle SX/4. i confess that these images had me a little confused, but then yesterday i witnessed (and shot) an eagle 4x4 in person and it all made sense. ridiculous little monster truck. Like I said in my previous comment on my own Eagle, this is my dad's car! 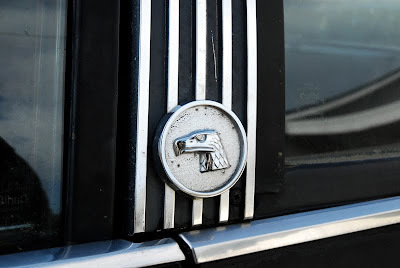 My dad had mentioned to me that someone was taking pictures of his Eagle (which always makes us happy that they're noticed) and it must've been you! 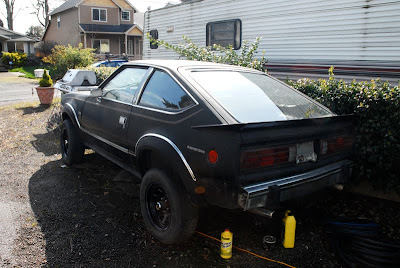 great cars.. i just sold one on ebay to a robots grad student and now will buy a select drive one. 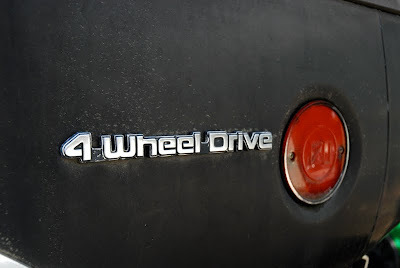 American Motors was the best, they had such great cars. 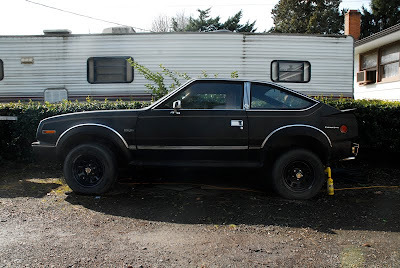 And may I include the Gremlin and Pacer.